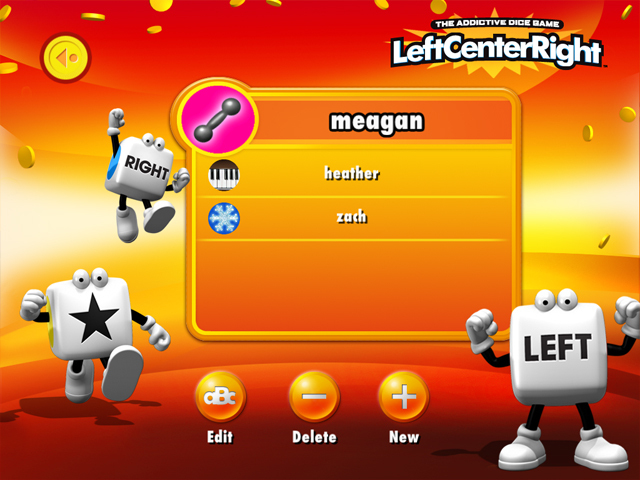 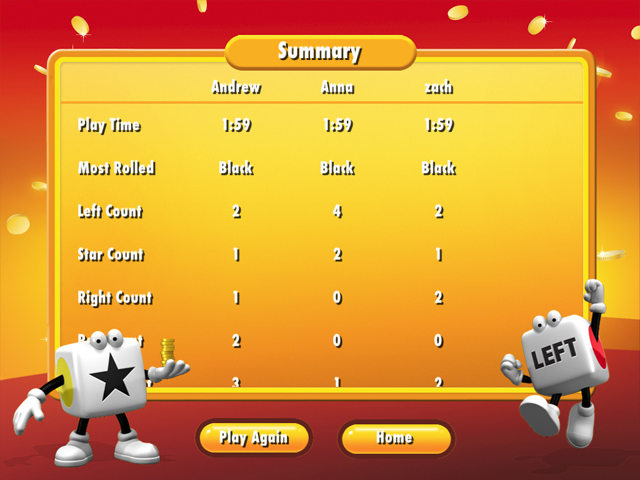 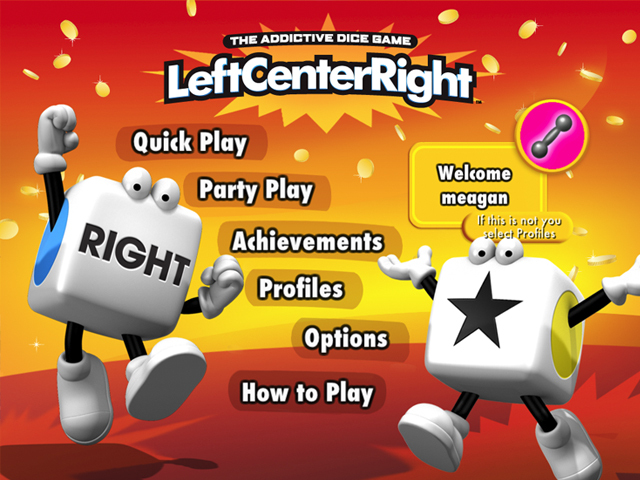 Left Center Right, the addictive dice game just got turbocharged! 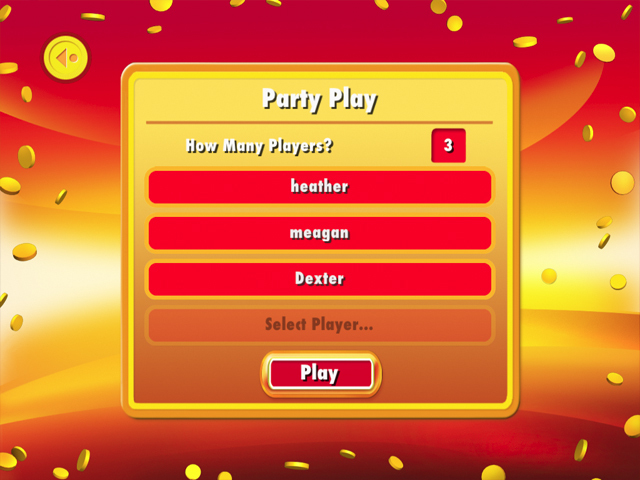 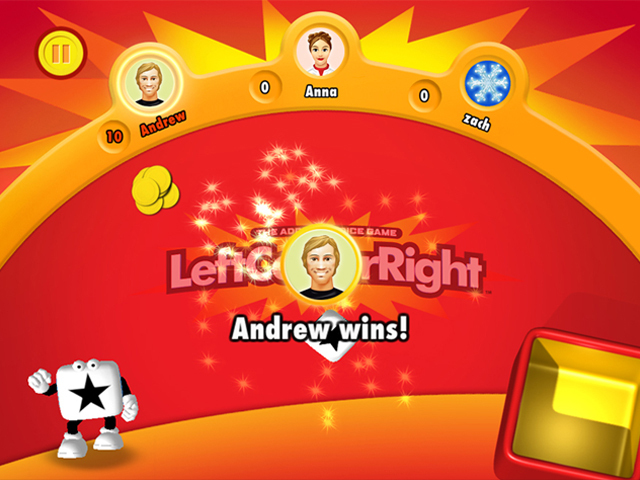 Not only can you play the classic game, where players collect and pass tokens around as directed by the three game dice ... but roll one, two or three RED DOTS and you get to multiply your winnings for that round. 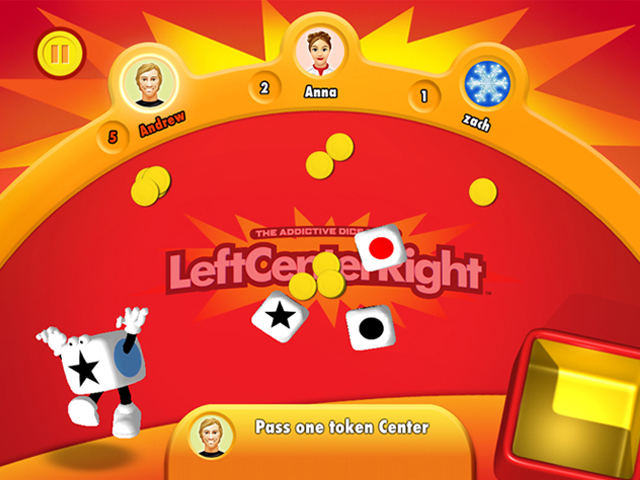 But if that wasn't fun enough, when there are no tokens left in the center pile, you now get to steal tokens from other players!